Capitalizing on experience gained on the Business side as well as on the I C Technology side, we are deploying our activities into multiple directions. our project team operates onsite/offsite and take responsibility for delivering within Time & Budget an plan agreed upon. within the frame of an "Outsourced Project"
with the essential objective in mind of delivering "on time and on Budget". Our Consultants have been exposed to various project management or Software Engineering Methodologies or certified on specific methodologies. In their Business Consulting roles, F.IT-C consultants will provide direction in order to align IT functions and business demands. In their business Analyst roles, building upon accumulated experience and exposure in different business domains , F.IT-C consultants apply the proven analysis methodologies in order to gather, validate information and business processes and express them in non ambiguous representations to be used by the development teams. 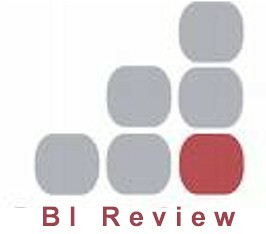 You surely have a Business Intelligence (B.I.) infrastructure in place. Your Users and your Organization might not take a full advantage of it. A BI Audit will surely gives your organization an extra chance to get the most out of your current Management Information System and provide appropriate indications for the future. Expectations around BI investments are high and you have not got yet the expected 'Return On Investments'. Through the collection of key pieces of information over your BI system and organization, we will provide you with a set of recommendations in order to improve your 'Return On Information' on short and longer terms. Or you have plans to enhance your B.I. environment. Thanks to our advises, your will gain a better vision on your B.I. growing path, enabling a secured step by step approach for an incremental expansion. One of FITC's specialty is gathering and understanding what data your business needs, determining how to source that data, gathering and transforming the data into usable information, and making that information available for your business to analyze. Many companies have not fully reached the return on investment (ROI) that can be achieved through a well-designed Business Intelligence architecture and plan. Our BI Consultants will usually come in at a stage you built a good understanding of the forces causing your business to adapt (the Business Drivers) and the of the desired outcomes (the Business Goals) of actions to be or being implemented (the Business Strategies). maximizing the R.O.I. of your Business Intelligence approach. F.IT-C's experience can put these efforts in a better perspective - seeing the forest from the trees - and improve your data R.O.I. 40% of ETL (Extract, Transformation & Load) processes are still manually coded. When it comes to implementing the appropriate architecture, automating these processes and freeing up your people's time for more valuable activities, we are the ones (from a services perspective) to help you implement a resilient, scalable and cost (investment) friendly solution and (from a product perspective) as Partner of various solutions providers the ones to help retain the tools that will serve you today and tomorrow.